You are probably aware that brushing your teeth is one of the most important things you can do to maintain your oral health. But have you ever considered whether you’re brushing your teeth correctly? 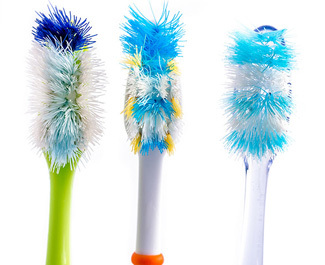 Aim to brush for two minutes (that’s 120 seconds), twice a day, with a soft-bristled, small-headed toothbrush. As an alternative, you can use a powered toothbrush for increased cleaning efficacy. Along with flossing, proper brushing will keep your mouth healthy and beautiful. 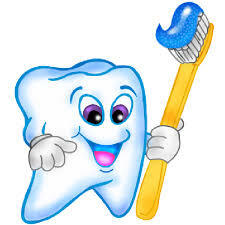 Please let anyone in our office know if you have questions about your brushing and/or flossing routine. When you think of a person wearing braces, the first image that likely pops into your head is an awkward middle-school child with a mouth full of metal brackets and rubber bands...The vast majority of our patients don’t fit that stereotype, however. Orthodontic treatment is just for kids - Wrong! Although teenagers often visit our office to get braces, adults represent a growing proportion of our orthodontic patients. Whether you’re eight or 80, a no cost consultation with Dr. Morra can identify problems with your teeth, jaws, or bite that can be corrected by orthodontics. Traditional metal braces are my only option - Wrong! Advances in orthodontic technology have come up with improved braces and other orthodontic appliances that are much less noticeable than the braces of yesteryear. Aesthetic orthodontic treatments, such as clear aligners, clear braces and more are available to you. Orthodontic treatment is only helpful for crooked teeth - Wrong! Orthodontic treatment is too expensive - Wrong again! As with any medical procedure, orthodontics can be pricey. However, our team works with patients to identify payment plans, insurance coverage, and affordable down payments that make it easy to get started. So you or a family member need braces. 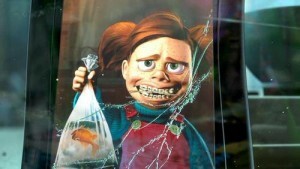 You’ve just found out or you had an inkling all along – your bite is uncomfortable, or you don’t like to show your teeth when you smile because they just don’t look the way you would like them to. What can you do to make the cost more manageable? First, don’t worry. Many Canadians just like you have dealt with the same concerns. Here are some things to remember when you’re facing the costs that come with a beautiful smile. Ask your orthodontist about your payment options. As with any new venture, it’s important to educate yourself. 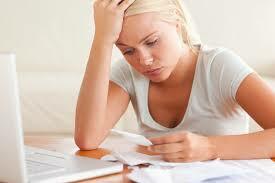 Many people have health insurance benefits through work that will cover a portion of the costs. You should find out the following information from your insurance carrier: Who is covered and until what age, the percentage of the coverage, and the total value of the coverage. Many insurance carriers may allow you to increase the orthodontic option. If both parents have coverage you will be able to apply to both plans. Just remember to contact your insurance company and have them fully explain your orthodontic coverage to you. This can substantially reduce your out of pocket costs. We can also check on your orthodontic coverage when you come in for a consultation. Then, it’s a matter of covering the difference on your own. Every orthodontic office will have a variety of payment options that will make this easier for you or your family. All you need to do is discuss this with office and you can design a fee schedule that works for you. Every patient and family should request an official tax receipt for any treatment fees that were not covered by insurance. Currently the CRA permit these fees to be included under medical expenses on your tax form. If you think you’re going to have to pay for a large chunk of your orthodontic care, planning for the cost in advance can be a lifesaver when the time comes. Just like you’d plan for your home renovation cost, plan for the scenario that you or your child needs braces. Here at Dream Orthodontics we can also work with you to make a payment schedule that works for you and your family. Understand all the treatment options and costs presented by your orthodontist. Every orthodontic office understands the concern families have regarding the cost of orthodontic treatment, particularly if there are multiple members of the family who need treatment. Not everyone can pay for braces overnight. With that in mind, talk to your orthodontist and see what they’re willing to do to in terms of planning for costs and managing your expectations. They want to see you end up with a healthy, happy smile, and are often willing to provide payment options to meet you where you are. The typical pharmacy or grocery store has an entire aisle filled with oral care products including a dizzying array of toothpastes that come in all types of variations and flavors making choosing the right type difficult to do. Here are some toothpaste shopping tips designed to make it easier to select the right type of toothpaste for you and your family. Abrasive agents – Abrasive agents such as calcium carbonate and silicates are put into toothpaste to help remove food, bacteria and some stains from your teeth. Flavorings – It is common for toothpastes to include flavoring to make them taste better. These flavorings typically consist of artificial sweeteners including saccharin that come in a variety of flavors ranging from bubble-gum flavors for kids to fruit flavors and different types of mint. Fluoride – Fluoride is one of the most important ingredients to look for when choosing a toothpaste. It is a naturally occurring mineral that protects the teeth from tooth decay. Fluoride not only makes the enamel on teeth stronger to ward off acid damage, but it also re-mineralizes areas on the teeth that have started to decay. Especially important as the water in the lower mainland is not fluoridated. A good rule of thumb is to buy toothpaste that carries the Canadian Dental Association’s seal of approval. This signifies that the toothpaste is safe and effective to use. Toothpastes for Sensitive Teeth – This type of toothpaste is designed for people who have sensitive teeth. For instance, if your teeth are sensitive to heat or cold, this toothpaste decreases tooth sensitivity by blocking pathways through the teeth that attach to nerves inside the teeth. Whitening Toothpaste – Whitening toothpastes are designed to remove stains and discoloration from the surface of the teeth to make the teeth whiter in appearance. Instead of containing bleach, whitening toothpastes contain abrasive particles or chemicals that help remove stains. Tartar Control Toothpaste – Tartar control toothpastes are designed to loosen and remove harmful plaque from the teeth. If plaque is left on the teeth, it hardens into tartar, which is a very difficult-to-remove deposit that builds up on the teeth and under the gum line, which eventually leads to gum disease. Tartar control toothpastes contain chemical compounds such as phosphates and zinc citrate that work to remove plaque before it has a chance to develop into tartar. In the end, if you cannot decide what type of toothpaste to buy, consult with your family dentist or orthodontist. Your dentist or orthodontist can help you choose the right type of toothpaste to buy based on your overall oral health and special needs.